It is being reported that Vision of the Seas which is operated by Royal Caribbean has suffered from a brief power failure while cruising in Europe early on Tuesday morning. According to what is first being reported by Cruise Law News Vision of the Seas suffered from a power failure. The site mentions that the Royal Caribbean cruise ship was sailing in the sea of Crete after power and propulsion issues hit. Apparently, only the emergency lighting was working and the ship’s speed was just around 7 knots. We did get an official response from the cruise line and the impact was very limited and brief with the loss of power only lasting for 10 minutes due to a mechanical failure. The ship did continue as normal after that with no impact on the cruise. 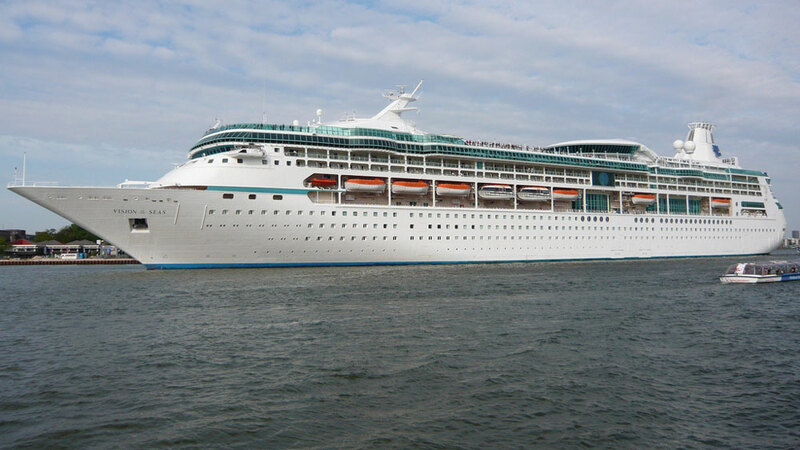 Vision of the Seas experienced a mechanical issue that caused certain areas of the ship to temporarily lose power for approximately 10 minutes. The issue was quickly resolved, and the ship is currently operating normally. We apologize for any inconvenience the outage caused our guests. Vision of the Seas is currently sailing a 12-night Mediterranean cruise from Barcelona Spain. The voyage started on May 14 and is scheduled to end back in Barcelona on May 26. The vessel was still scheduled to make a call in Santorini, Greece and stay there until around 5 PM. The cruise ship is over 78,400 gross tons and has a passenger capacity of almost 2,000. The Vision class ship was built in 1998.